Of all the great regional Chinese cuisines, Sichuan food has a special place in my heart. While we don’t have as many great Chinese restaurants as I would like in Minnesota, we do have a few that absolutely blow me away and Szechuan Spice on Lyndale Avenue is one of them. The dish I order every time I eat there is the sautéed sliced fish with mixed pickled vegetables. 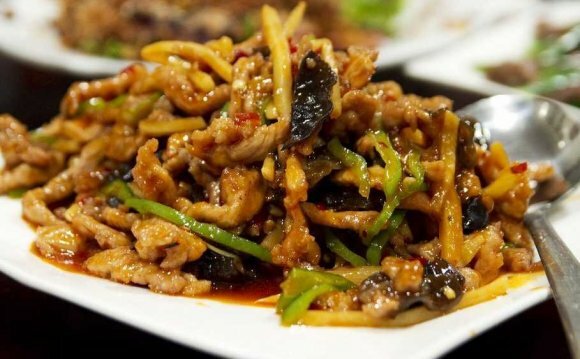 It’s spicy, it’s has tons of umami flavor from the minced fermented vegetables and fermented chili bean sauce that make up the backbone of this dish. Slices of fresh white snapper, grouper or tilapia (depends on what the restaurant happens of have on hand that day) are sautéed after being quickly dipped in egg white and cornstarch and flash fried, so it has that wonderful twice cooked slippery texture I love. The dish is one of those that I just can’t get enough of. It’s literally perfect every time and one of the single best plates of food in our entire state. I eat it once a week, for sure every Sunday.